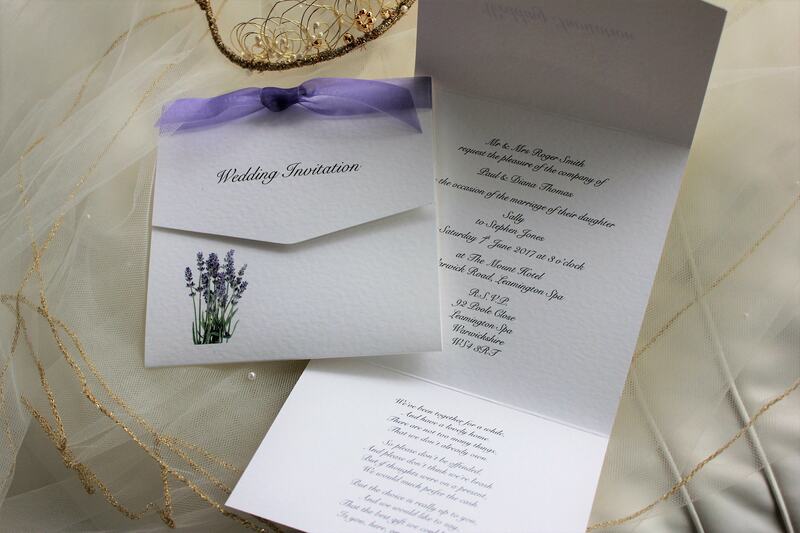 This is just a small selection of Lilac wedding invitations to give you some ideas. 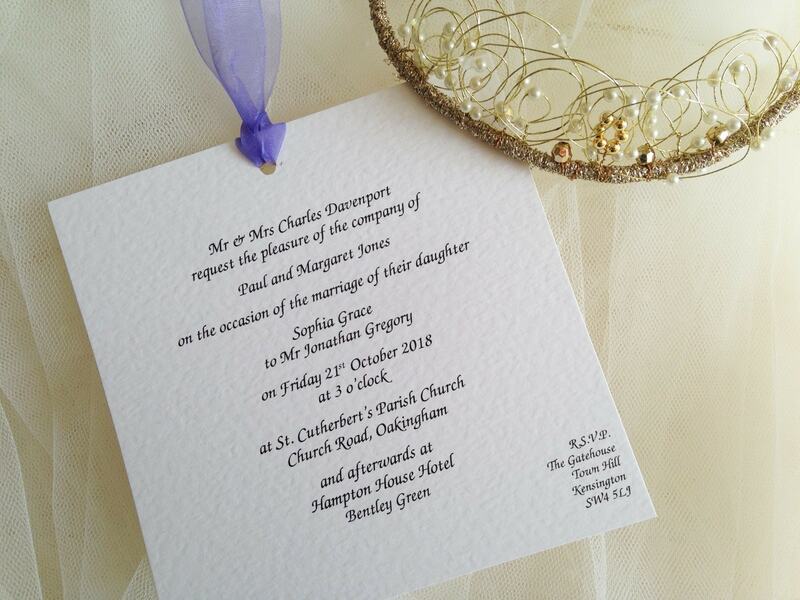 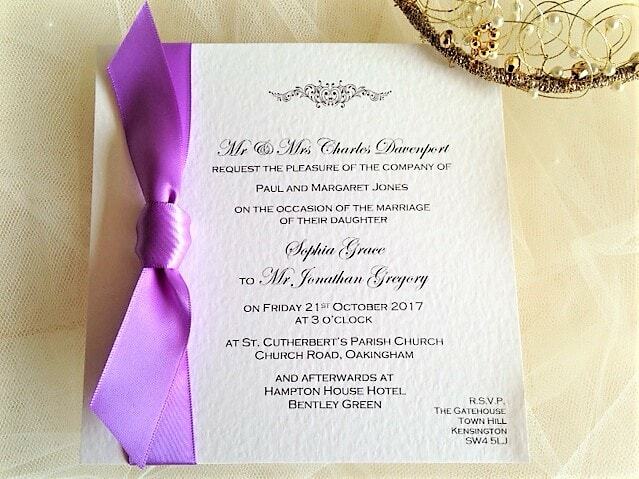 The majority of our wedding invitations on the main page are available with ribbon to match your colour scheme. Lilac is a colour that is a pale violet tone representing the average colour of most lilac flowers. It might also be described as dark mauve or light purple. 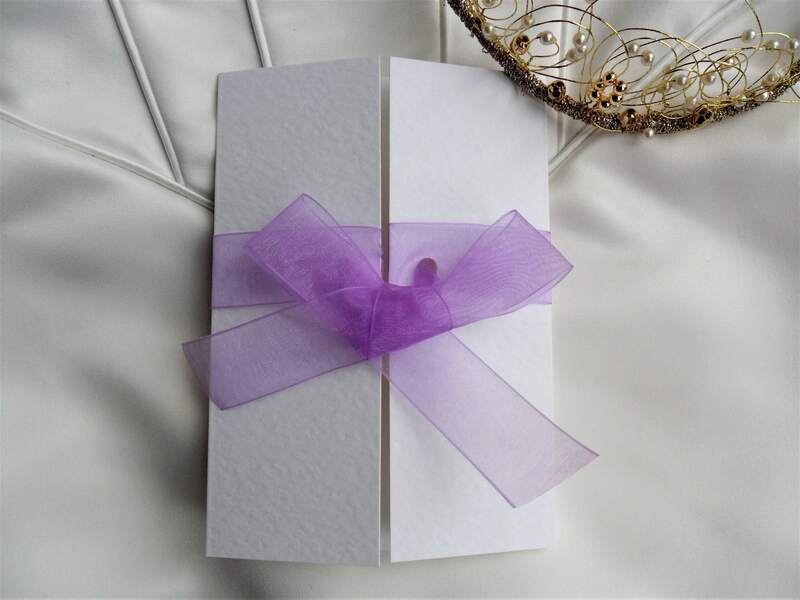 Lilac is a gorgeous pastel colour which is pretty and elegant. Super sweet florals, the perfect palette of lavender and lilac. 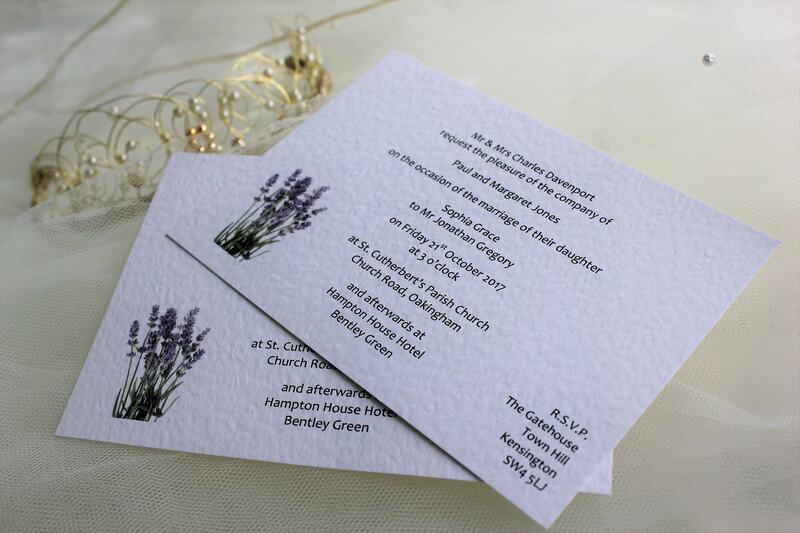 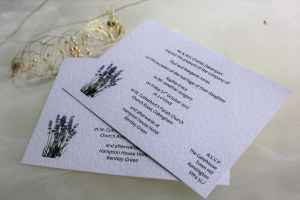 Take a look at our Lavender wedding stationery range. 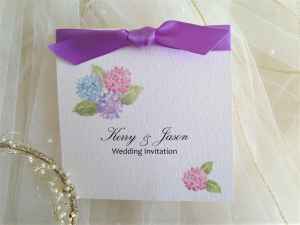 We stock lilac ribbon in satin and organza. 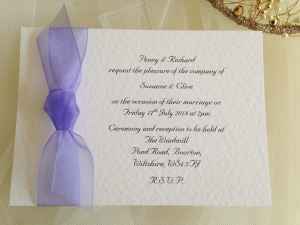 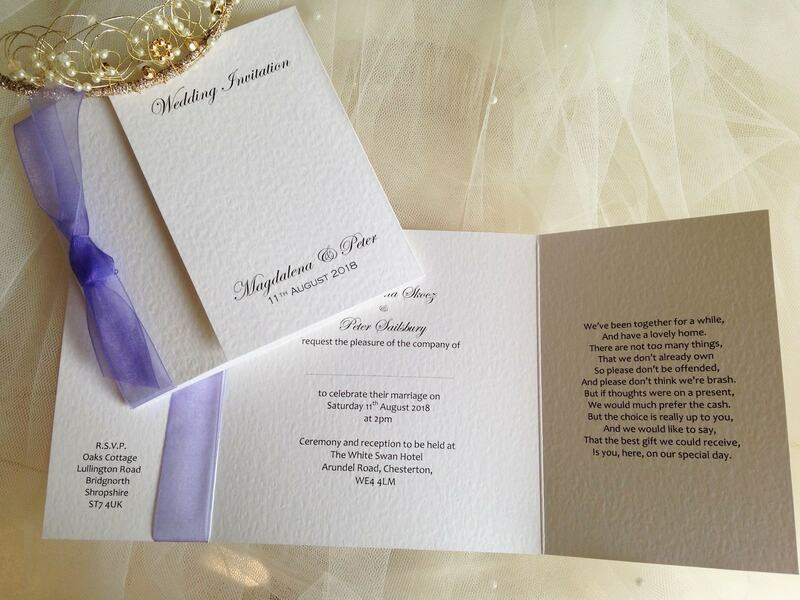 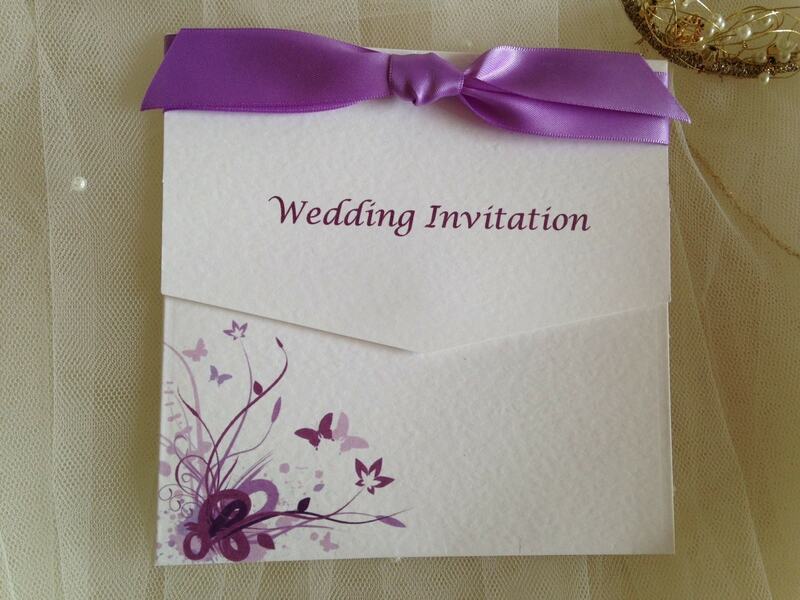 Order your lilac wedding invitations today.